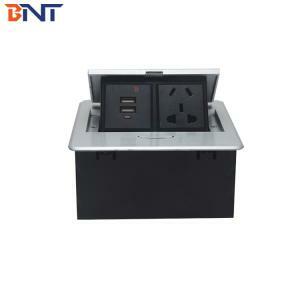 Conference tabletop hidden pop up socket, one modern office conference room multifunction AV power connector solutions. 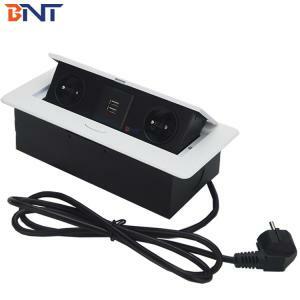 This socket normally contain the office high-quality projection audio video connected function for HDMI,VGA, Audio and Video.What's more, it normally supply with the universal power outlets which can fit for every difference power plugs. 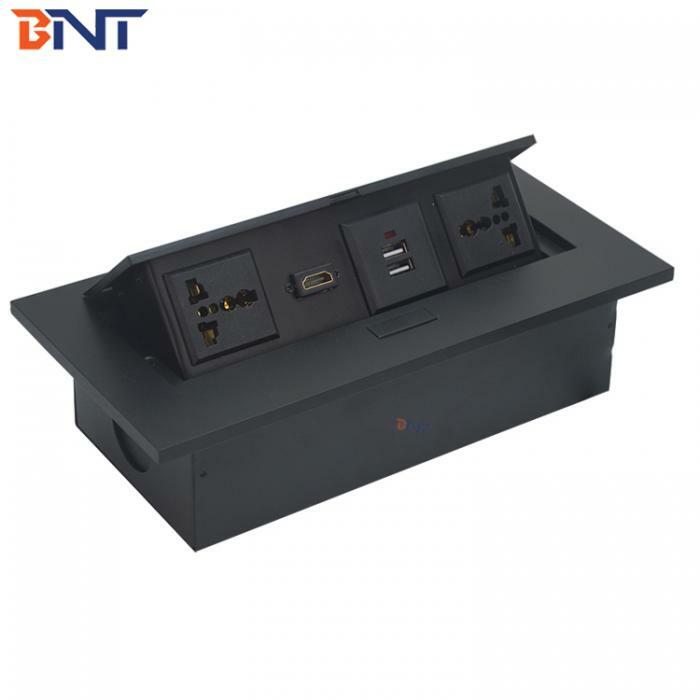 This socket normally mount on the table and all connectors and hidden under the surface zinc alloy panel. Could save more space and keep table integral and conforming. To supply a fashion and modern environment for office and meeting room. 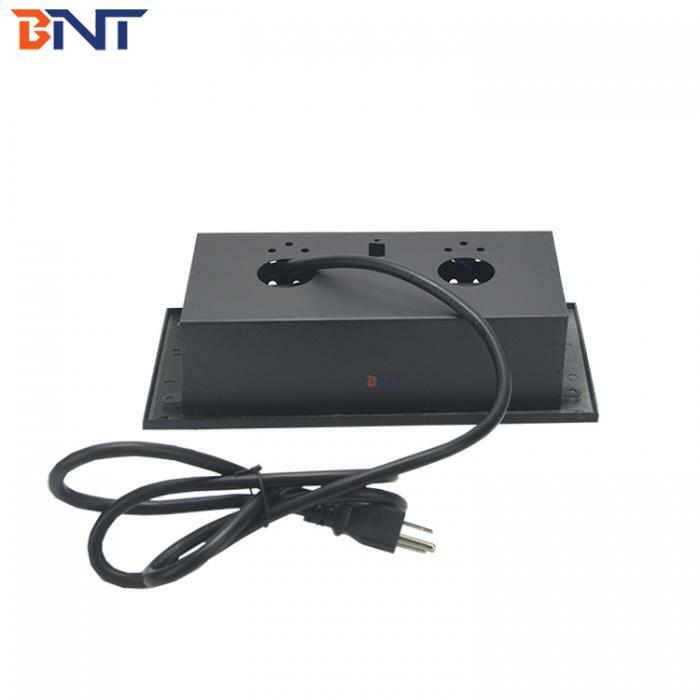 4.Panel surface made of zinc alloy material with anode oxidation process, bottom case made of steel material, powering with black color. 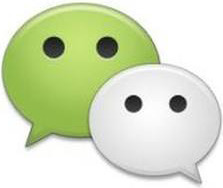 Antioxidative and won't loose color. 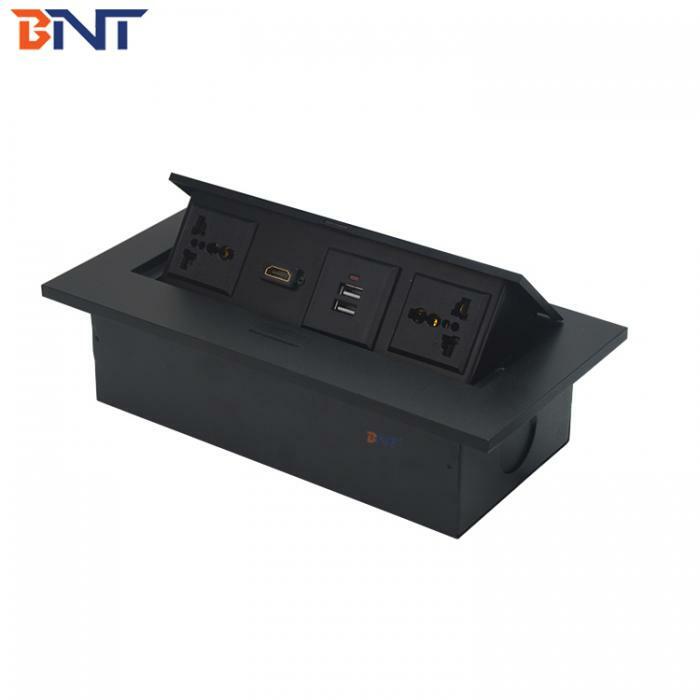 5.Hidden socket into table underside to keep desktop surface more neat, modern and save more space. 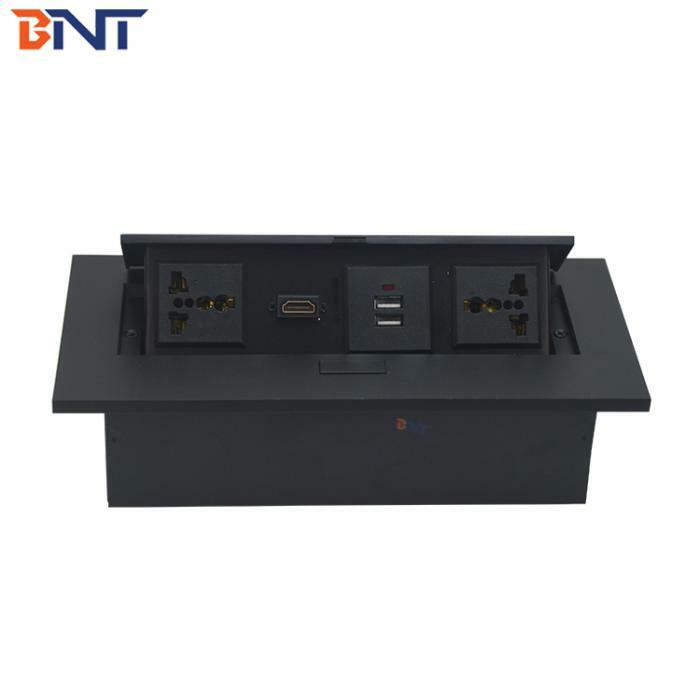 6.Just press the product button, the spring inside the socket box will pop all media socket with plat up to the tabletop, user could plug each connector directly. 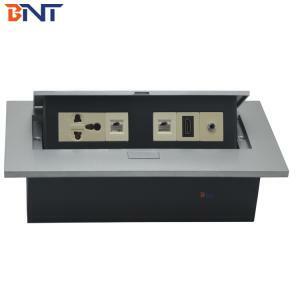 7.Normally install desktop power plug on office furnishes, like office desk, meeting table or other office worktop. 4.Supply with difference connection wire plugs as requirement. 5.OEM / ODM with difference modules and logos accordingly. 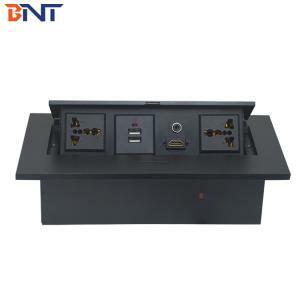 This socket normally mount on the table and all connectors and hidden under the surface zinc alloy panel. Could save more space and keep table integral and conforming.